Taylor Regional Hospital is proud to have earned The Joint Commission Gold Seal of Approval™. Joint Commission accreditation provides external validation of our patient safety, clinical quality improvement process, and valuable ideas for improving our mission critical processes. 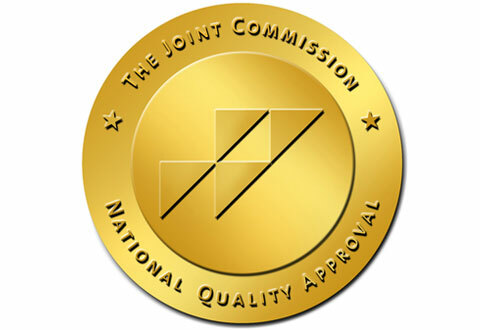 The Joint Commission strives to continuously improve the safety and quality of care provided to the public through the provision of healthcare accreditation and related services that support performance improvement in healthcare organizations. An independent, nonprofit organization, it is the nation's predominant standards-setting and accrediting body in healthcare. Since 1951, The Joint Commission has maintained state-of-the-art standards that focus on improving the quality and safety of care provided by healthcare organizations. Its comprehensive accreditation process evaluates an organization's compliance with these standards and other accreditation requirements. Joint Commission accreditation is recognized nationwide as a symbol of quality that reflects an organization's commitment to meeting certain performance standards. To earn and maintain The Joint Commission's Gold Seal of Approval™, an organization must undergo an on-site survey by a Joint Commission survey team at least every three years (Laboratories must be surveyed every two years).